The Trailer of the most anticipated Bollywood film “Dassehra” is finally out. The first glimpse of the film gives out clear indication of a stellar performance from Actor Neil Nitin Mukesh and the co-actors. The fight sequences look brutal and exhilarating. Dassehra certainly seems the best action movie of 2018, all credits to its emotional maturity, dark story and well-crafted action sequences. 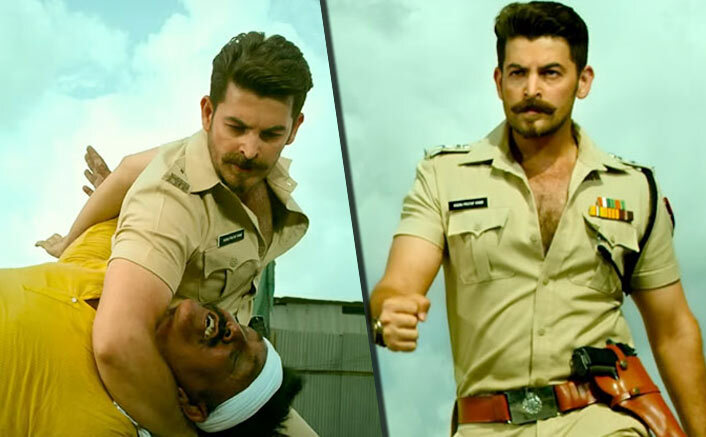 Neil Nitin Mukesh will be playing the role of a police officer for the first time in his 11-year career in Manish Vatsalya’s Dassehra. The film also stars Tina Desai, Govind Namdeo. The story has written by Saurabh Choudhary and Produced by Aparana S. Hosing under the banner of Rash Production. Sporting a moustache, Niel Nitin Mukesh, wearing Khakhi Wardi ridding on Bullet absolutely look Dabangg Cop. The cop hero in Dassehra knows how to win people confidence and tackle goons. These movies can motivate the state police to work for the people. Despite being corrupt to an extent, the cops in these films protect the law and destroy criminals and their gangs.